A method for efficient and rapid characterization of ultrathin semiconductors has been developed by LMU researchers based on a study of the optical properties of these novel semiconductors. Atomically thin two-dimensional crystals comprising of a monolayer of the composite in question can be obtained by processing chemical compounds based on elements belonging to the so-called transition metals. The materials obtained are semiconductors with outstanding optical properties. A team of LMU physicists headed by Alexander Högele collaborated with American colleagues and recently explored the properties of thin-film semiconductors developed from transition metal dichalcogenides (TMDs). The findings have been reported by the researchers in Nature Nanotechnology. Extraordinarily strong interaction with light was exhibited by these semiconductors that indeed have immense potential for applications in the area of opto-electronics. The electrons in these materials can be excited with polarized light. Circularly polarized light generates charge carriers that exhibit either left- or right-handed circular motion. The associated angular momentum is quantized and described by the so-called valley index which can be detected as valley polarization. According to the law of quantum mechanics, it is possible to use the valley index just like quantum mechanical spin in order to encode information for several applications including quantum computing. However, controversial results have been obtained from recent studies based on the valley index in TMD semiconductors. Inconsistent values for the degree of valley polarization have been reported by several groups from all over the world. The reasons for these discrepancies have now been clarified by the researchers through their newly developed polarimetric method and also by using monolayers of the semiconducting TMD molybdenum disulfide as a model system. 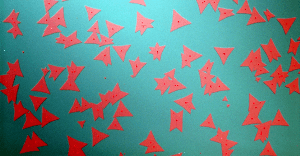 Response to polarized light turns out to be very sensitive to the quality of the crystals, and can thus vary significantly within the same crystal. The interplay between crystal quality and valley polarization will allow us to measure rapidly and efficiently those properties of the sample that are relevant for applications based on the valley quantum degree of freedom. Additionally, the newly developed method can be used for other monolayer semiconductors and systems made up of a variety of materials. In the years to come, this will enable the functionalities of devices based on atomically thin semiconductors, such as novel varieties of LEDs, to be characterized economically and rapidly.